If you are working with Siemens Teamcenter you will know that it is a product lifecycle management (PLM) system that connects people and processes across departments by integrating all product knowledge into a single source of information. What you probably don’t know, is that there is simple way to utilize this information that enhances training, operations and maintenance procedures significantly across your business. 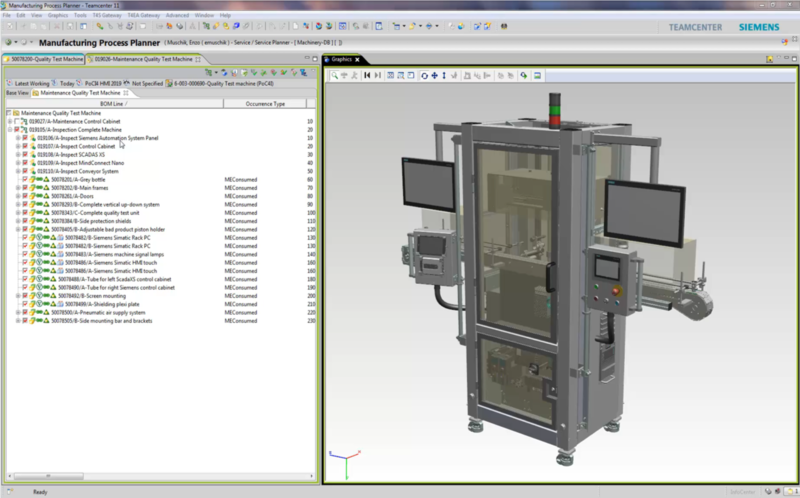 Connecting Siemens Teamcenter to REFLEKT ONE, the first scalable Augmented Reality (AR) platform, allows you to visualize your existing design and technical documentation data and bring it into a format that enables technicians perform service and maintenance tasks more efficiently, with less errors and higher first-time fix rates than before. REFLEKT ONE empowers companies to independently create their own AR applications without any programming expertise. The content creation platform makes it easy for anyone in your company to create interactive 2D and 3D visualizations for live viewing on real objects. All that’s needed to do this is, you guessed it: Data! This is where Siemens Teamcenter comes in. The product knowledge, design and technical documentation data from your PLM can be fed into the REFLEKT ONE platform where it forms the basis of your step-by-step instructions as well as your visualizations of product components and diagnostic data. You might ask yourself: How exactly do I link the two? It’s a simple three-phase process. Animated Procedures (Step-by step instructions combined with text). After choosing your content type, the document editor in REFLEKT ONE Author allows you to drag & drop or type in the relevant information and directly link it to the desired item in your 3D model of the object. This is the point where all created information comes together and is prepared for publication. Before the information is merged, however, you need to choose between marker-based and model-based tracking as your tracking configuration. This ensures the application knows how to display the created content in the real scenario. After that the REFLEKT ONE Publication Engine receives all 3D data, technical documentation and tracking information from Siemens Teamcenter and prepares it for the final phase. At this stage the information is visualized. To do so, simply open the REFLEKT ONE Viewer and refresh the app so any new content is displayed. Download the new scenario and open it. Your new AR content can now be accessed and viewed across Android, IOS and Windows devices or on the Microsoft Hololens. This is it. No rocket science but a simple process which can be followed through by anyone because programming skills are not required. 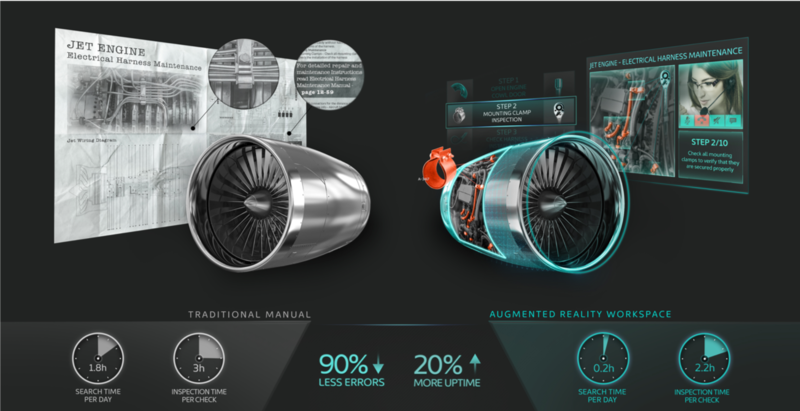 It’s all about merging already available product information and transforming it into AR content that empowers your company to significantly improve workflows across the product lifecycle. Linking Siemens Teamcenter to REFLEKT ONE not only makes the initial AR content creation a smooth and easy process but also enables you long-term to adapt quickly when changes occur. Changed information in your PLM directly feeds through to your AR content. This prevents delays and eliminates errors that occur when information is changed manually while making your company processes more agile.